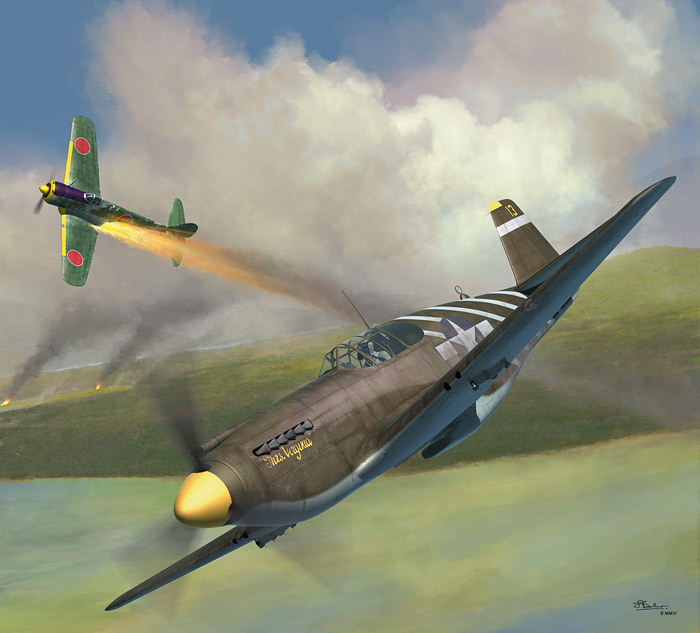 This is my artwork of a P-51A of 1st Air Commando, in action over Burma in 1944. This was created as cover artwork for a French magazine called 'Aéro-Journal', details of which can be found at http://www.aero-journal.com/ . There aren't any prints etc. for these.